Magnetic separators for foreign metal fragment control and food safety. 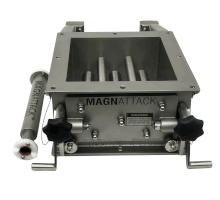 Magnattack™ Global is a very focused company, specialising in foreign metal fragment control and magnetic separation solutions for the food industry worldwide. 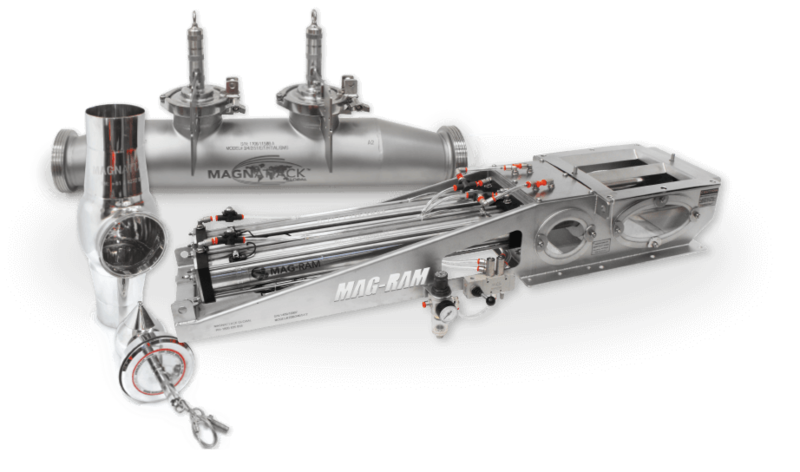 The majority of the Magnattack™ Magnetic Separator Range was originally designed for clients who were experiencing trouble with existing low-quality and inadequate magnet technology. Our R&D team was able to work with the clients to create a custom magnetic separator that met their individual requirements, and consequently, the requirements of many other food companies experiencing the same difficulties. Automated system providing continuous separation at full coverage 11,000 gauss. Easily cleaned, reduced operator effort and need for excessive manual handling. 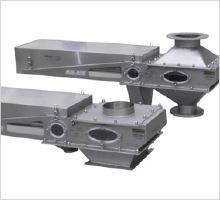 A unique solution for highly efficient separation of foreign metal contamination in powder applications. 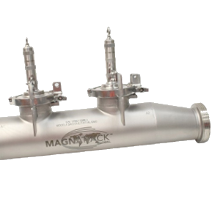 Innovative design aimed at providing efficient magnetic separation without leaks, blockages or distortion. 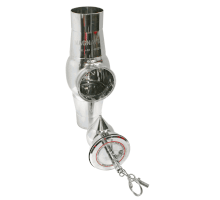 Designed in response to a valued client’s need to extract metal fragments from thick, viscous slurries. We certainly appreciated the fact that you responded so well to our concerns, that is great customer service. Not only have you dealt promptly and efficiently with our issue, but have listened and responded to our questions also. Providing us with information that was not common knowledge in the plant. Whilst the failure is unfortunate, you have satisfied our needs and we would have no hesitation in purchasing further magnets for ourselves and recommending your business to others. Understanding which areas of your plant hold the highest risk of metal contamination, or where you	should install magnetic separators, can be tricky — especially if you are installing a new line, if you don’t yet have	magnets, or if you are doing an entire plant upgrade. 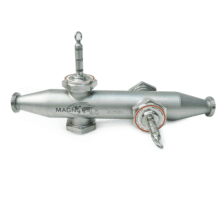 To ensure you install the right magnets in the right location and have maximum control over metal contamination, Magnattack™ technicians can conduct a Plant Risk Assessment at your site. This will ensure that your magnet protection will fully comply with current standards in place for magnets in the food industry. The technician will take into account your process line/s, ingredient entry and exit points, ingredient/s processed, tonnage rates, the effectiveness of existing magnets and metal detectors (if any), and a variety of other critical factors. What is getting past the magnet? Does the magnet retain all the fragments it collects? Is the magnet sufficiently strong enough for the application in which it is placed? Is magnetic coverage of product stream adequate? Keep up-to-date with the latest metal fragment control developments, updates, and industry events. Please fill in the below details so we can ensure you only receive relevant emails. Thank you for subscribing to our newsletter. You should receive a confirmation email from our mail service provider, Mailchimp, within the next few minutes. Please follow the instructions in this email to confirm your subscription.